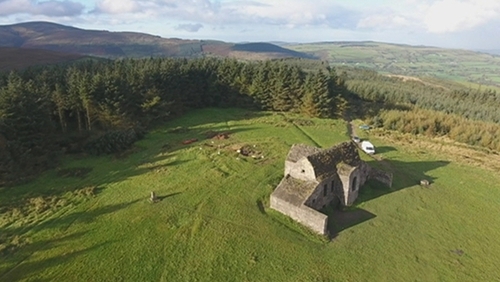 The proposed €19 million redevelopment of Dublin's Hellfire Club is being held up for another year because of its potential effects on the Merlin bird of prey. South Dublin County Council wanted to build a visitor centre and other facilities at the popular tourist and daytripper spot in the Dublin Mountains near Rathfarnham. The application to An Bord Pleanála provoked a large number of objections from local farmers, hillwalkers and conservationists and an oral heading was held last November. The board has now written to the council saying that its bird survey was inadequate in relation to the Merlin bird, as it was limited to the summer months of 2018. The decision has been condemned by the Irish Raptor Study Group who say they advised both sides that the development would not affect Merlins. Spokesperson Ryan Wilson Parr said the decision was "disappointing" as his group had said they had no issues with the plan. A statement on their Facebook page said that birds of prey have been subjected to "unnecessary negative stigma" by this decision. "Unfortunately and without foundation the Merlin has been used as a focus for objection and it has stuck". It added that An Bord Pleanála had allowed a wind farm on an important breeding ground for hen harriers but refused the Hellfire development because of potential effects". "The double standards here... is something that should concern our TDs, developers consultants and public alike." The council has been given until February 2020 to submit further information that would cover all seasons. The council has also been told to prepare a Natura Impact Statement on the effects of increased visitor numbers on three nearby areas of conservation and protection. In its submission to the board, South Dublin County Council said the development was necessary because of population growth. The council wants to build a visitor centre with bigger car parks and a treetop walk, and to more than triple current visitor numbers to 300,000 a year. The project would include works to preserve a number of national monuments on the site. Architect Paul Keogh told the oral hearing that the plan was to do "as much as necessary and as little as possible". But the Save The Hellfire group, who say they have a petition signed by 20,000 people opposing the developments, say it is inappropriate and will have a negative impact on an already fragile environment.